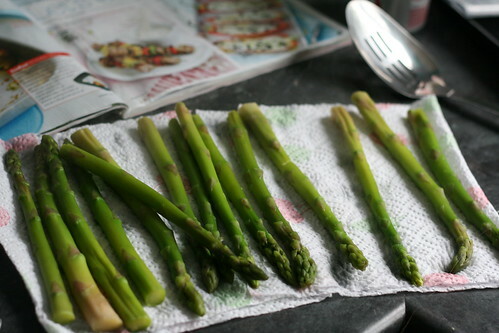 Heat the oven to 220C and spray a shallow roasting tin large enough for the asparagus spears to lie in with Fry Light. Then pop the roasting tin in the oven to heat up. Heat a large saucepan of water until it boils, cook the asparagus spears in it for 2 minutes (There was much poking them in the water when I tried this) and drain, before setting the spears aside on kitchen paper. 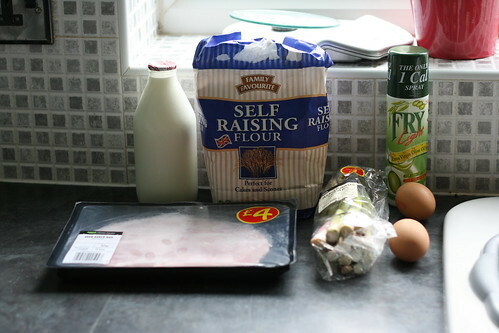 Then whisk the eggs together with the flour, the milk and 150ml of cold water. 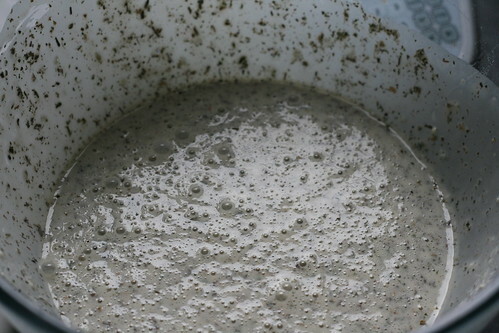 Add some salt and pepper and stir in two tablespoons of the herbs until you get a nice, smooth, even mix. 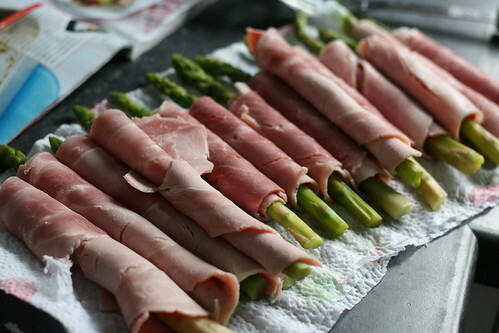 Then cut your ham in half and wrap it round an asparagus spear. Take your roasting tin out of the oven — carefully! 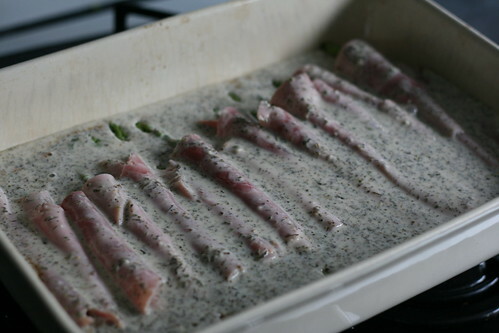 Then arrange the asparagus spears in the hot roasting tin and pour the batter over the top. Bake for 20 minutes, until the batter has risen and is golden. Serve it however you like, but I went for salad and potatoes. It was just gorgeous. The batter was truly scrummy — I’ve made it again but with some low-fat sausages and it was just as nice.